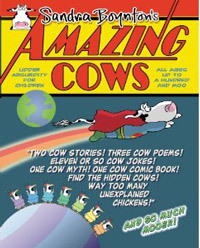 The Butter Cow is running for US President! Can you believe this? And no, you don’t need to check your calendars, today’s not April Fool’s Day. 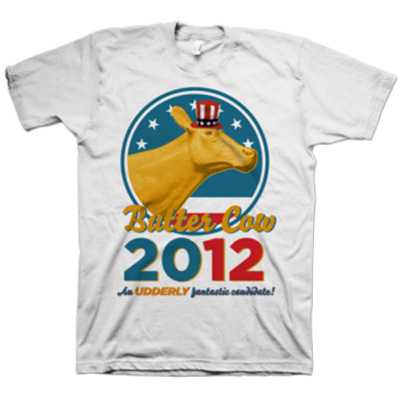 It’s official, the Butter Cow is running as a candidate in the 2012 US presidential elections. What a great idea! This has to be the best news I’ve heard all week! Next Post Time for some cow treats! Haha, me too! Seems like the best candidate so far! 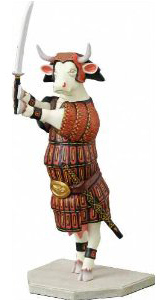 At this point, the butter cow may be our best option. I know she’d find a way to level the field on tax payers so everyone pays their fair share. That’s how things work on the farm.